I posted this on Facebook on July 11th, and decided that I want it to be part of my own website/blog. I couldn't link the story from "Telegram Towns" so I scanned it. 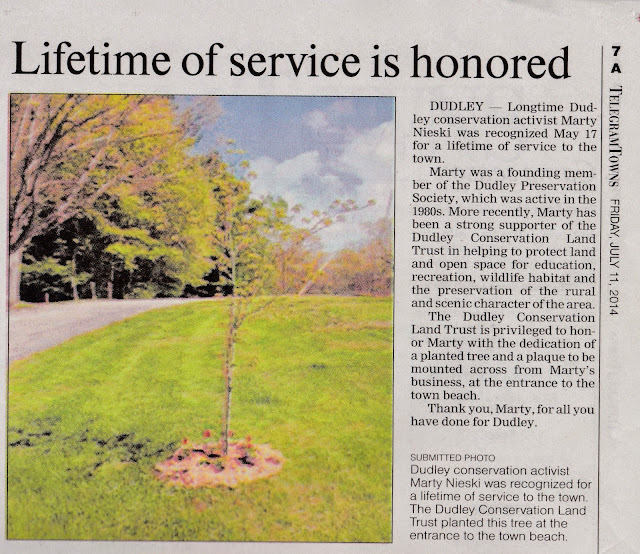 Marty's lifetime of service goes far beyond the environment. He has helped many people in profound ways, without any fanfare. He is also our dear friend, Best Man at Jody's and my wedding, often found spreading the word that "Life is good!"